Bravo's newest show, "Summer House," is full of rosé-fueled pool parties, inner-house hookups and summery dinner outings. 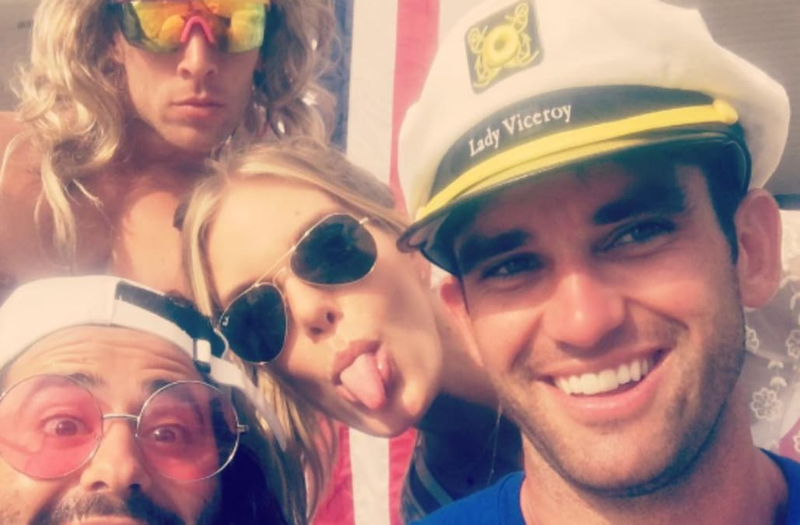 And, after the show's first few episodes, we were wondering: Where does the "Summer House" crew like to hang out in Montauk? We had cast members Lauren Wirkus, Kyle Cooke and Carl Radke into our office ahead of the "Summer House" premiere to talk all about their show -- see what they had to say here -- and, while they were here, we also made sure to ask about their favorite spots at the End of the World. Lauren Wirkus: I think No. 1 for all of us is Surf Lodge. Kyle Cooke: What I think is so cool about that venue is that you're on the water, there's music and there's a carefree atmosphere. You could be hanging out with someone who owns a hedge fund and a celebrity and then someone like me who's just trying to make it. Everyone is friendly and welcoming, to the point where there can be annoying lines. Lauren: Surf Lodge is harder to get into than college. Kyle: Shagwong has The Incredible DJ Lonestar spinning incredible throwbacks. It's a fun spot to let your hair down. Carl Radke: Harvest for dinner. It's a really good restaurant. Lauren: I love Crow's Nest. Kyle: The ambiance at Crow's Nest is amazing. Carl: I love to go surfing at Ditch Plains, but parking is a pain. Lauren: Joni's is my favorite breakfast spot -- you can go straight to the beach from there! Lauren: We went to SoulCycle once, and Stephen almost died.